A collection of ink and watercolor masterpieces by this influential master. His works are inspired by American and Asian tattoo traditions. 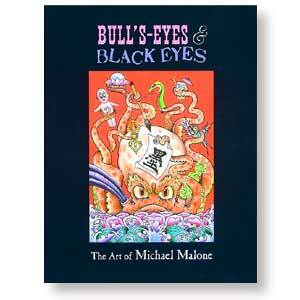 141 full color illustrations, plus an in-depth conversation with Malone documenting his history as an artist. Hardcover, 108 pages, 8-1/2" x 11".